What to do with a can of gray paint and patience of a goldfish? Paint everything in sight! 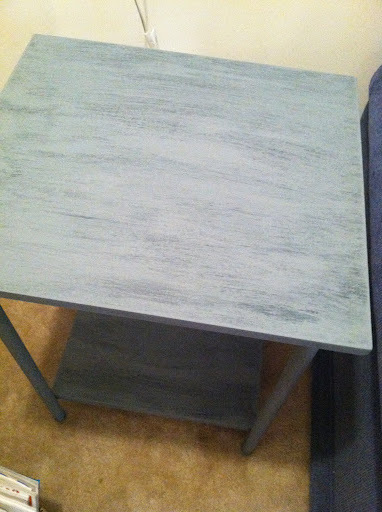 I dry painted the gray paint on- took all of 10 minutes- and I SERIOUSLY love the outcome! 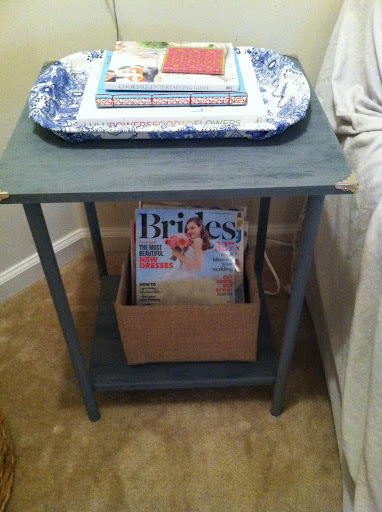 Topped it with a fabric covered tray, stack of decorating/entertaining books and filled the bottom with a burlap basket stuffed with bridal magazines. Plus! 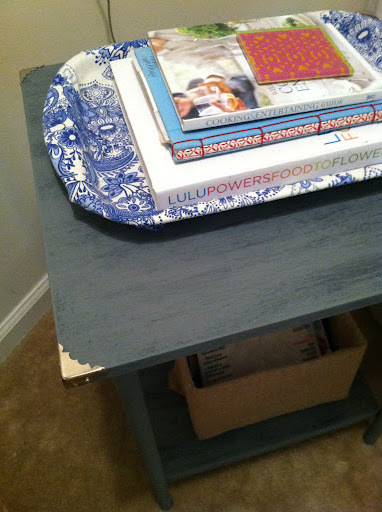 Did you notice the cool corner hardware we added to the table?! I think it really “finishes” the table. 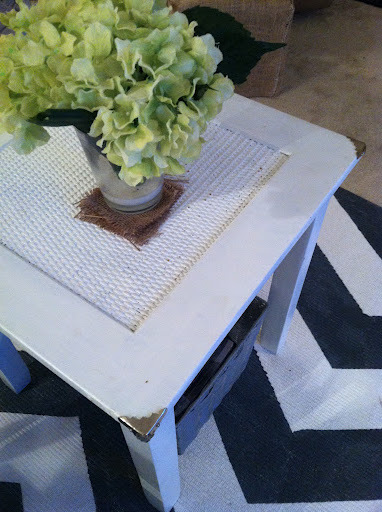 We also added them to our white coffee tables. LOOOOVE!